This is pumpkin month and I love it. Mini ones, giant ones, funny shape ones and even better pick your own ones. I wanted to make something the whole family would eat, so something small boy friendly whilst still being full of flavour for us. I used half a large pumpkin in this recipe and saved the other half for something else which I will share soon. The mini ones make super props don't you think?! Dice your onion and pumpkin and soften in a drizzle of olive oil for 5 - 10 minutes. Add your stock, bring to the boil and then simmer for approximately 20 minutes until the pumpkin flesh is soft. Test with a knife. 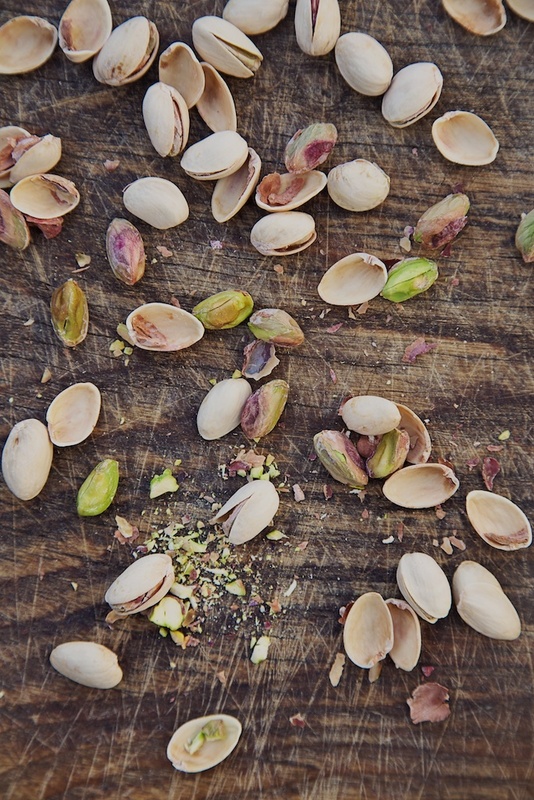 Blend until smooth and add the coconut milk, season with salt and pepper and garnish with chopped pistachio nuts. I like to serve it in little mugs. 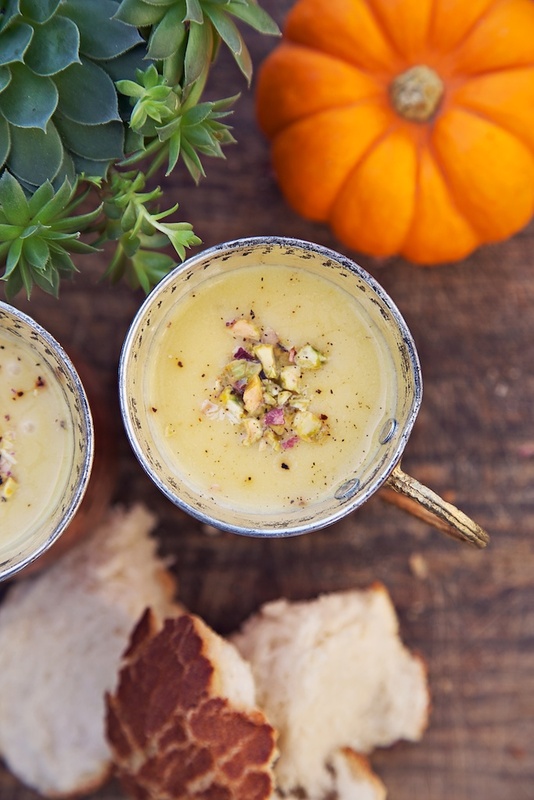 A lovely alternative to watery cup a soups! Dip in chunks of crusty bread. There's something quite heart warming about holding a cup of soup in your hands. How sweet are the copper mugs - 50p from my local charity shop?! I have some super cute photos to share later this week. Straight from the patch.